The second city to me has always been grand. It’s my home. It’s the city of my birth and I love it. And Birmingham is about to get even more grand with the revelation of the first half of our brand spanking new train station. It’s 150 years old and hasn’t seen so much as a lick of paint since it was redeveloped back in 1967. Well, no, that’s a fib. Of course it has. But for years for many people Birmingham New Street station has been dark, tired and resembled something akin to a rather sinister underground mortuary. As of Sunday 28th April 2013, it’s all change! The old concourse and entrance closes for good and it moves aspect to Stephenson Street where we get a new bright, light concourse and lots of lovely shiny-ness to greet us whenever we head off on our journeys. What has this got to do with pubs?? 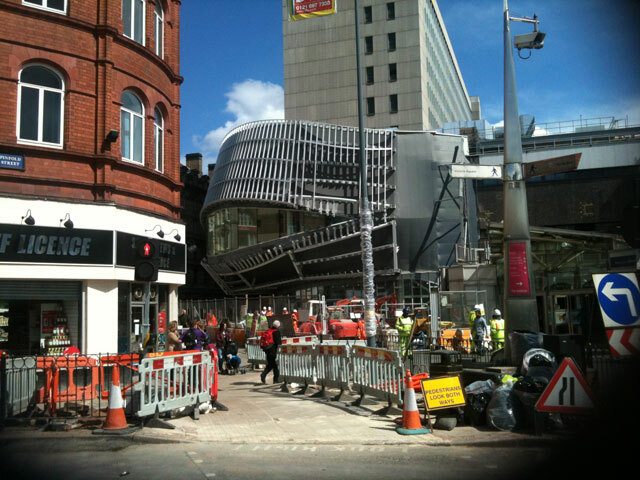 Well, the change of entrance to what will eventually be called ‘Grand Central Birmingham’ (eh?!?? who thought that one up?) means you’re even closer to some of my fair city’s superb pubs and beer bars! So I thought I’d draw up my personal list of the finest hostelries in walking distance from the train station.